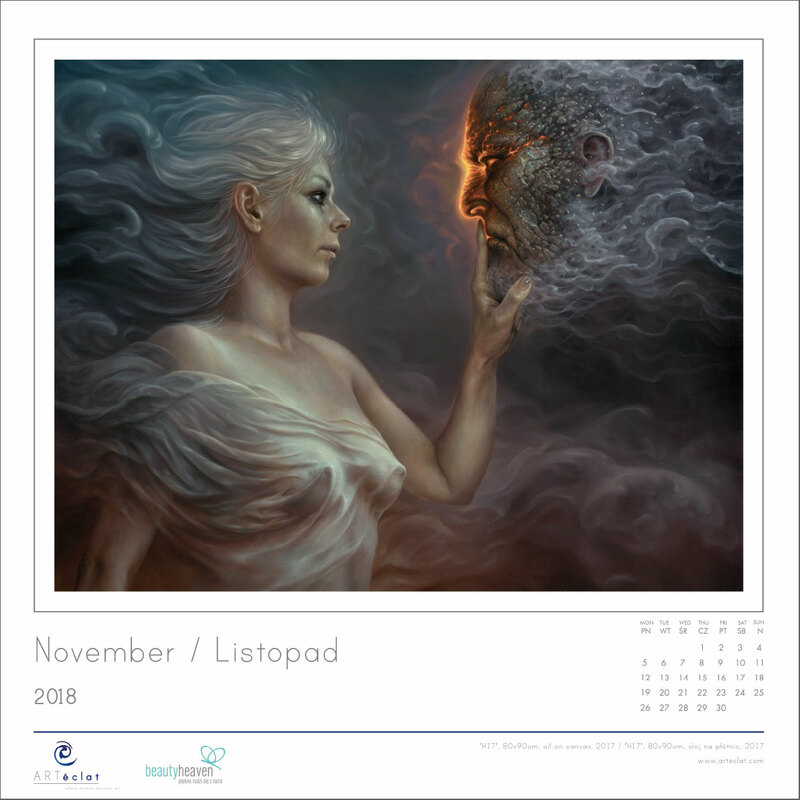 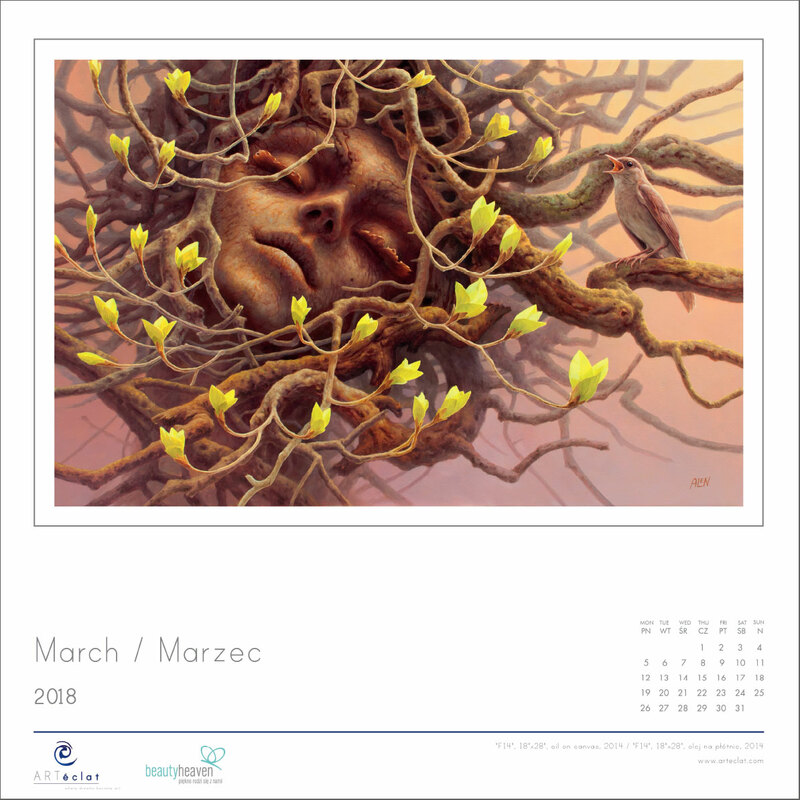 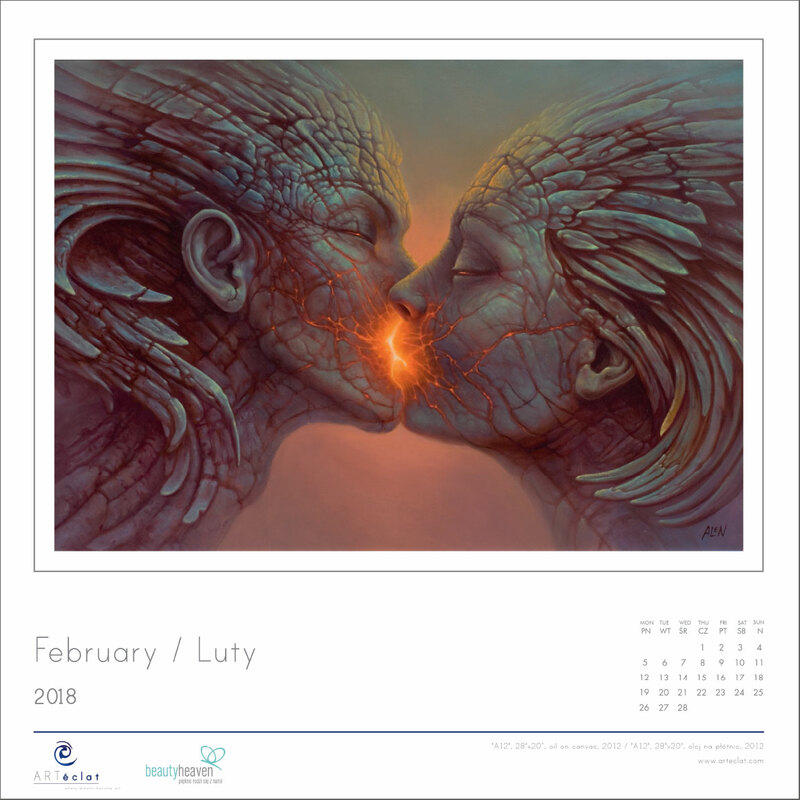 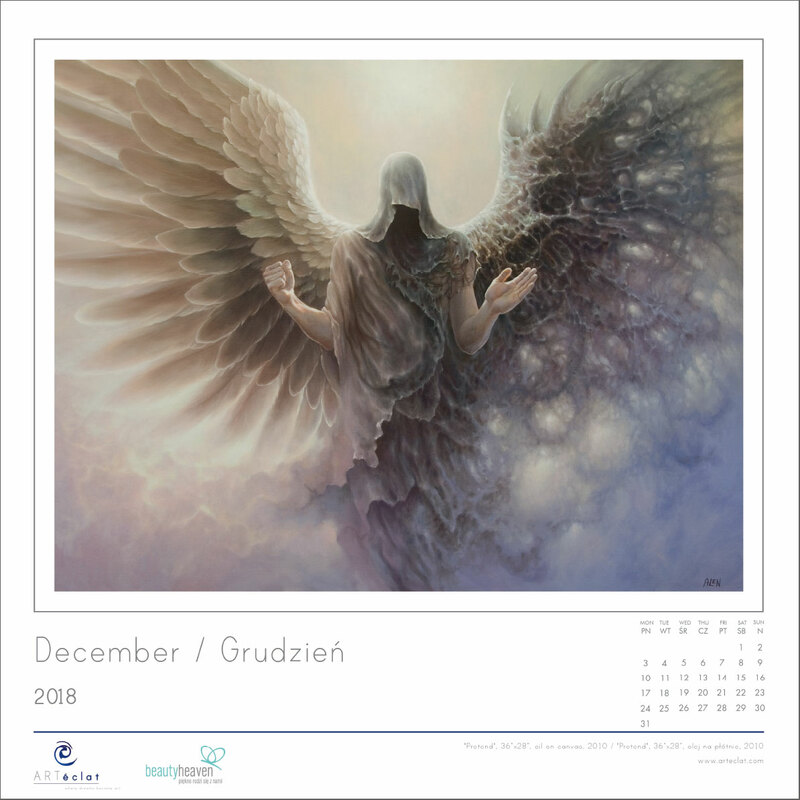 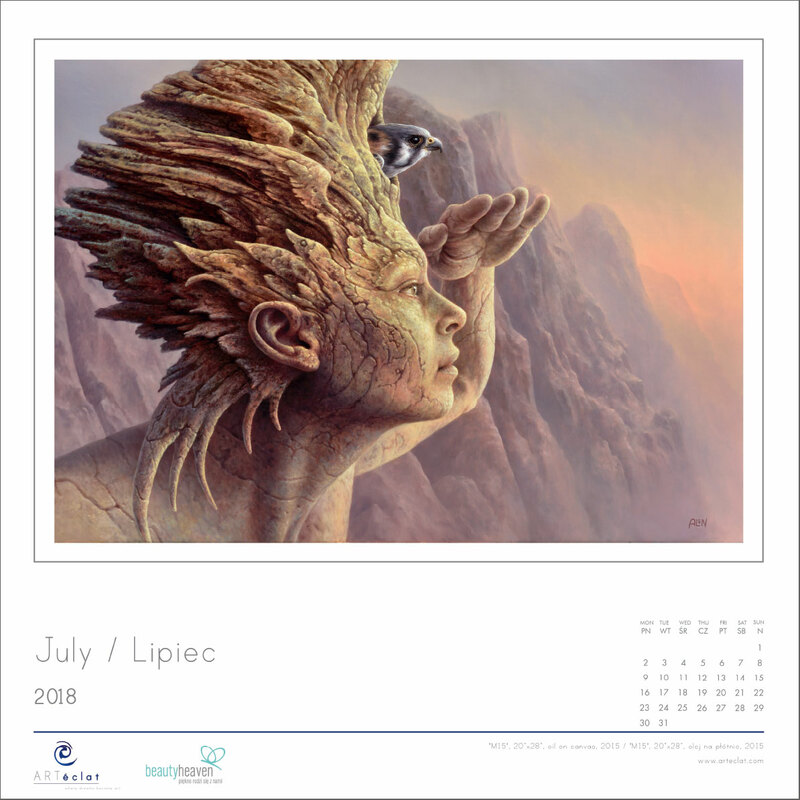 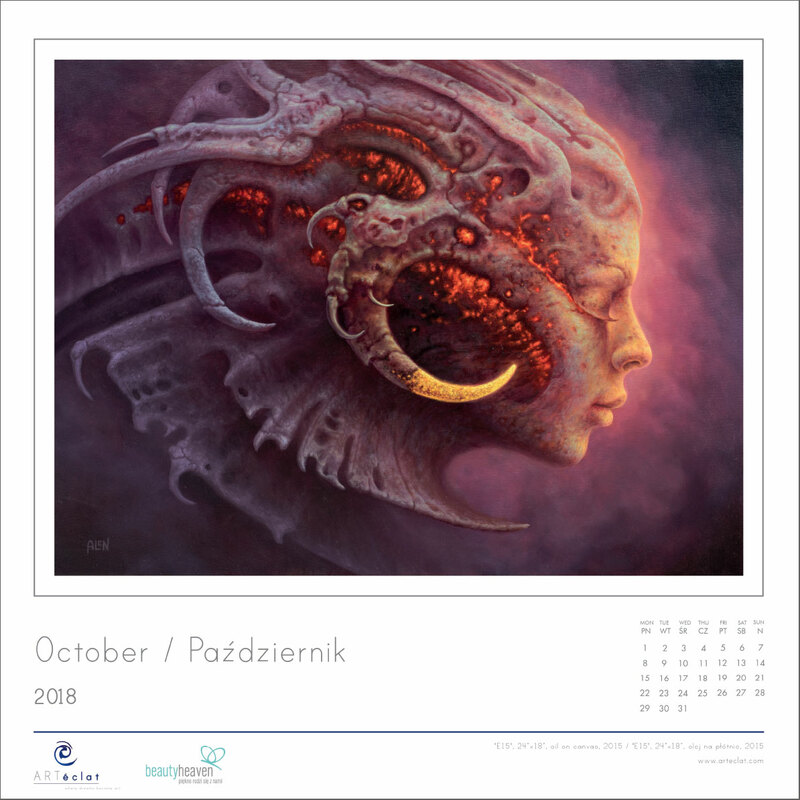 Limited edition, unique Artéclat Calendar 2018 with a collection of paintings by Tomasz Alen Kopera. 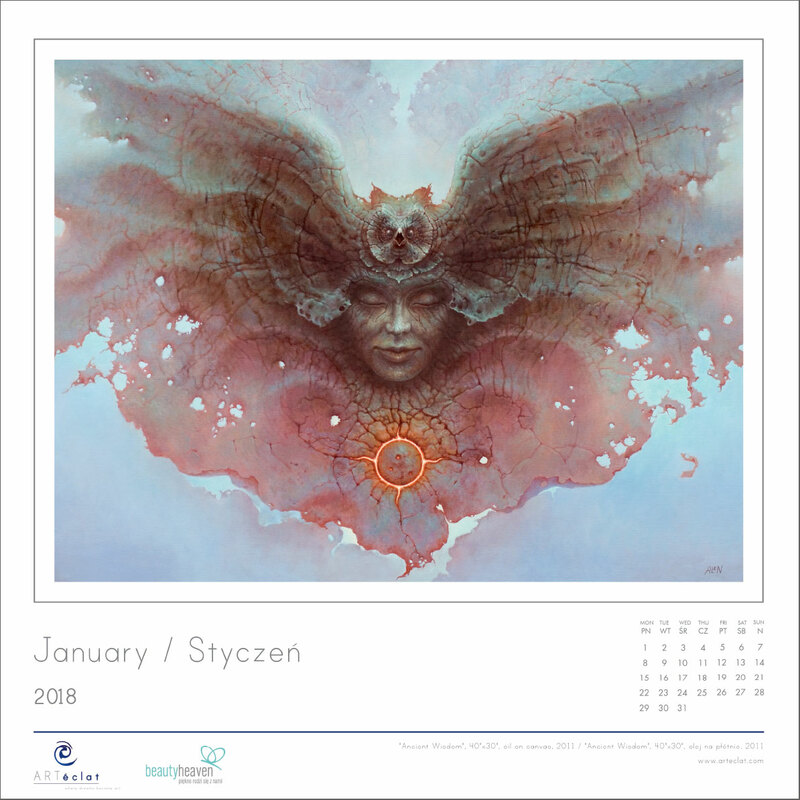 12 page (with each month on a separate sheet) in a large format (42 x 42 cm; 17″ x 17″). 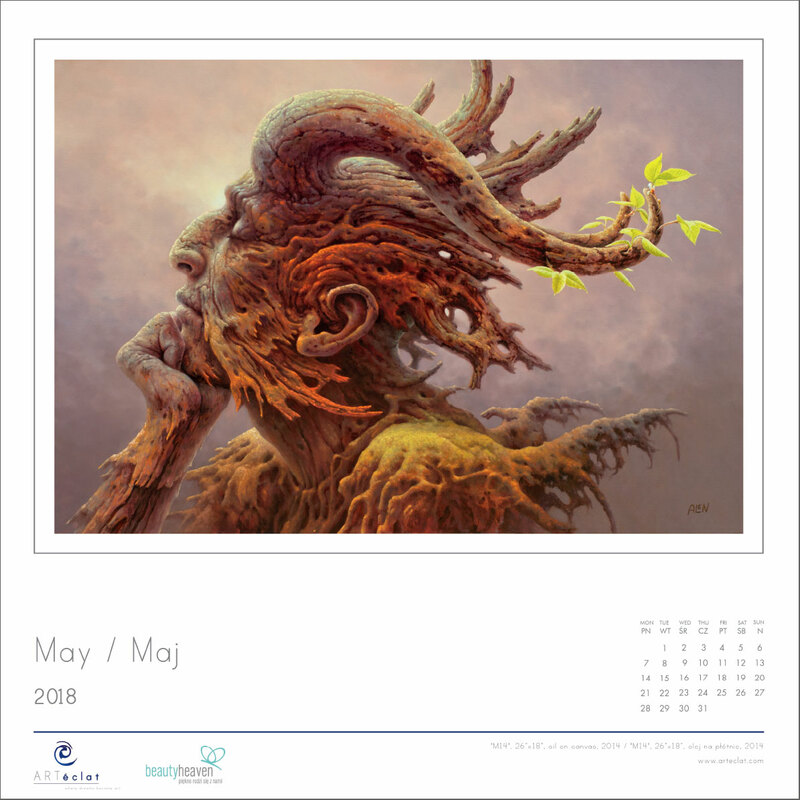 Beautifully published on a high quality paper, it will be an amazing decoration to your interiors. 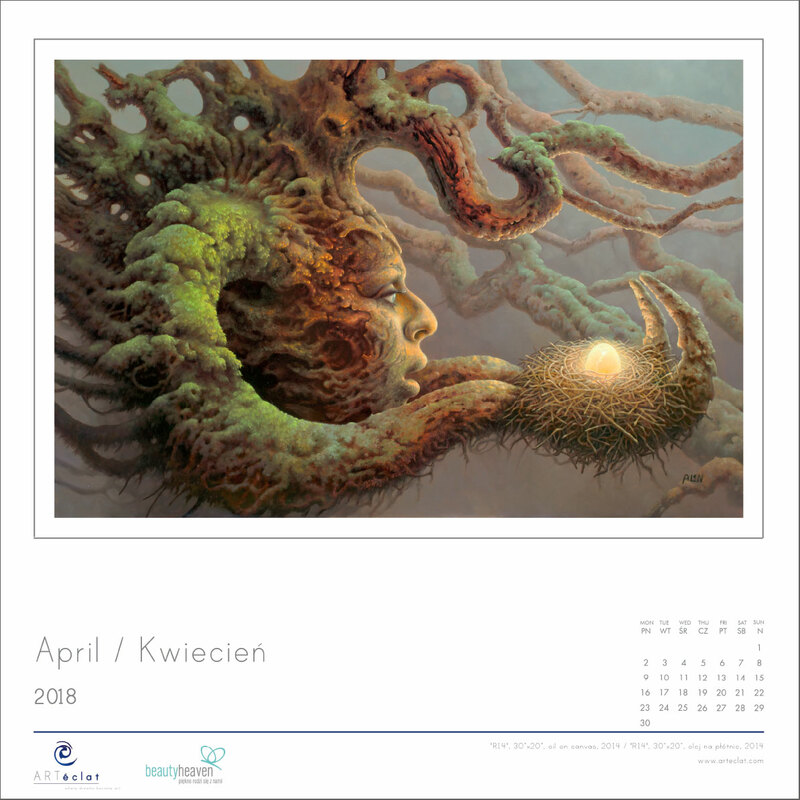 Tomasz Alen Kopera is a world class artist, creating in the field of “surrealism” and “magical realism”. 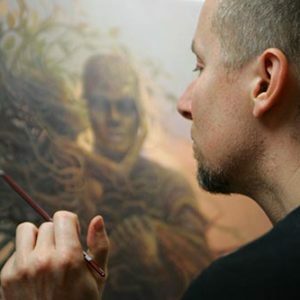 His technique, developed over many years, testifies to the artist’s great sensitivity and talent, where the acute attention to detail and mastery of colour proves his art to be of highest level. 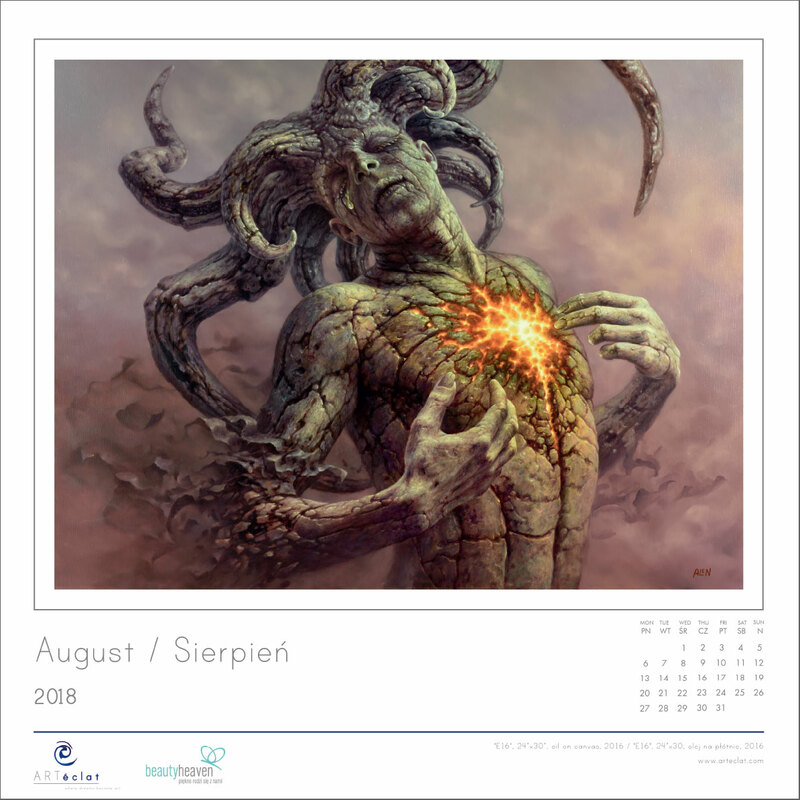 We own exclusive copyrights and we guarantee that our calendars are absolutely original. 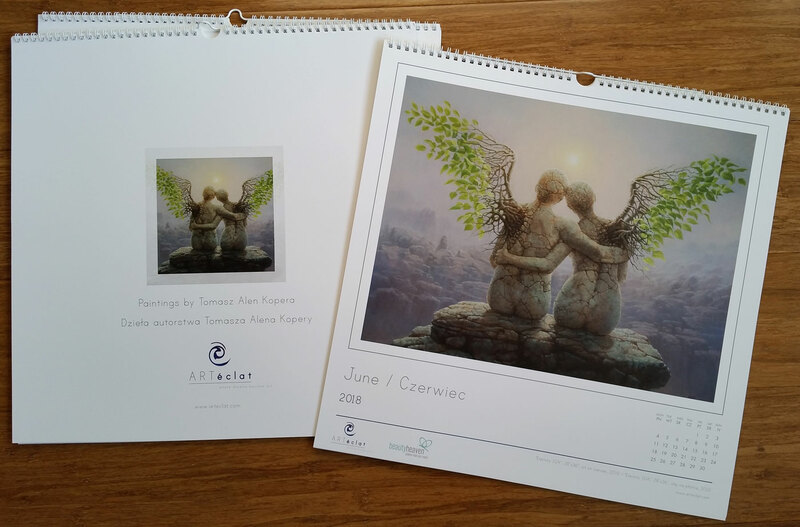 Wyjątkowy, limitowany kalendarz Artéclat na rok 2018 z wybranymi reprodukcjami dzieł Tomasza Alena Kopery. 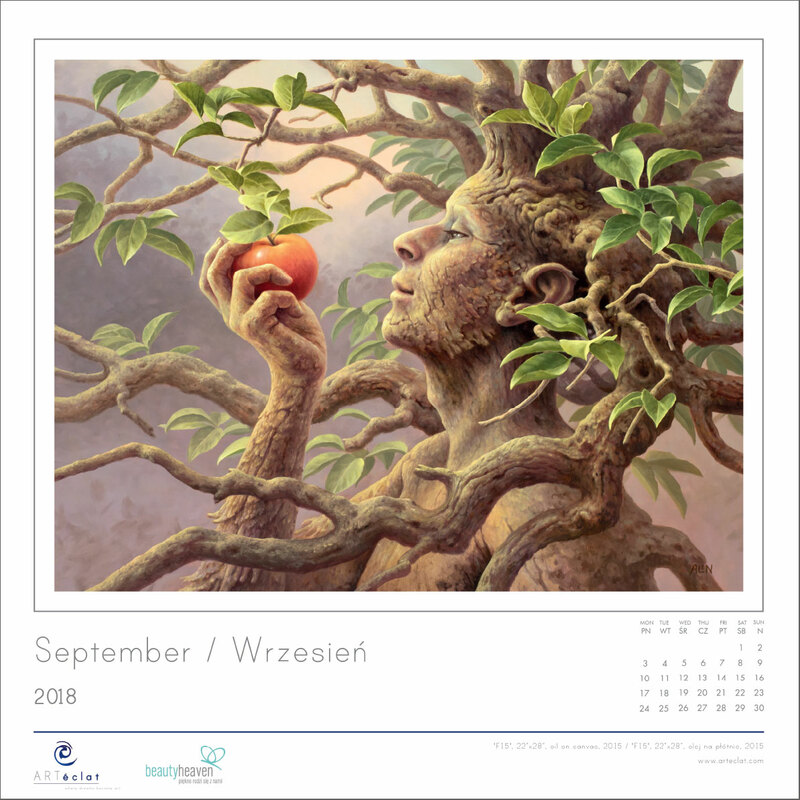 Kalendarz jest dwunastostronicowy (każdy miesiąc na osobnej karcie), w dużym formacie (42cm x 42cm; 17″ x 17″). 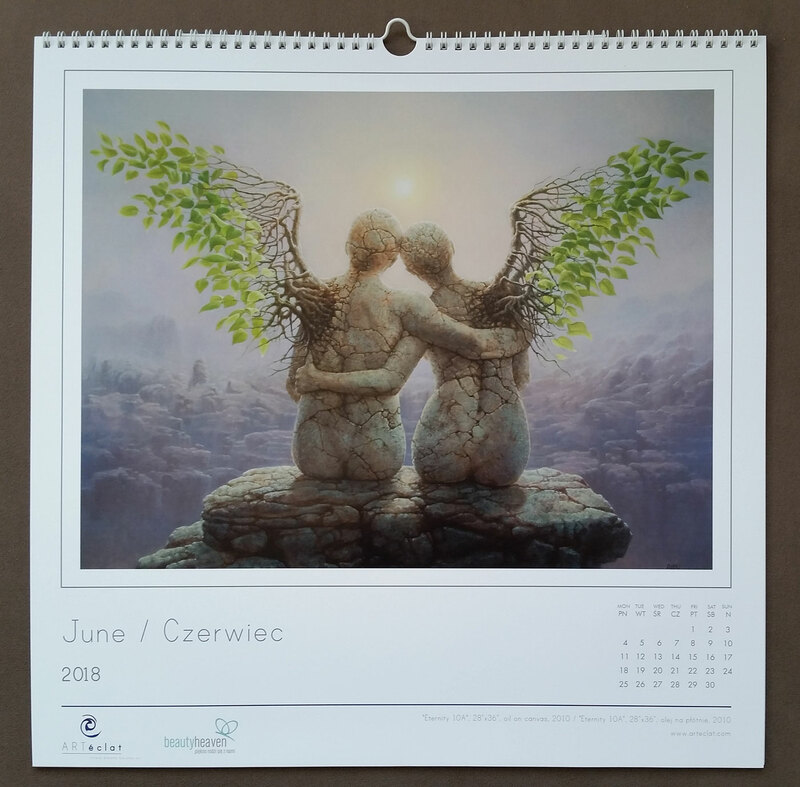 Pięknie wydany, na najwyższej jakości kredowym papierze, będzie stanowił niezwykłą ozdobę Państwa wnętrza. 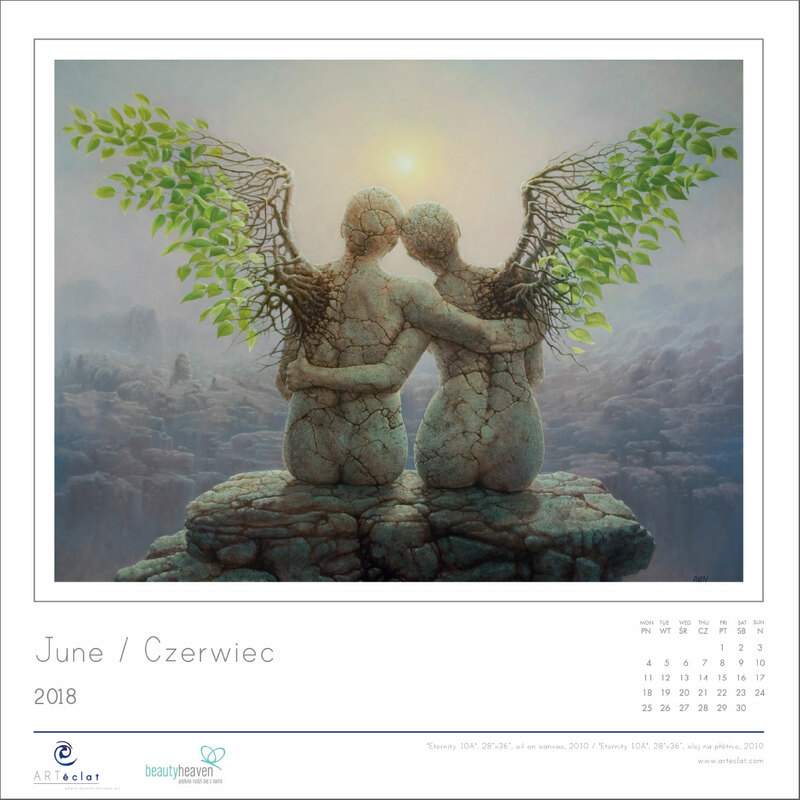 Jako jedyni posiadamy pełne prawa autorskie i gwarantujemy, że nasze kalendarze są absolutnie oryginalne.